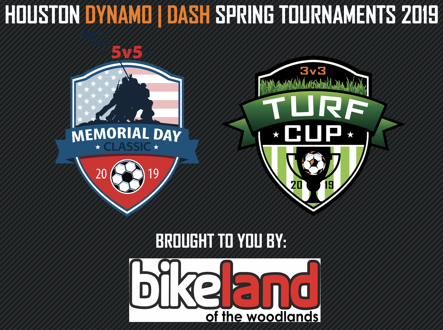 Houston, Texas (April 1, 2019) – The Houston Dynamo | Dash Youth Soccer Club (HDDY), a nationally recognized premier soccer club for boys / girls are excited to announce that Bikeland will be partnering with the club for the 3 vs. 3 Turf Cup and Memorial Day Classic 2019 (small sided tournaments). Both of the events will be hosted at Bear Branch Soccer Complex on Research Forest, The Woodlands, TX. 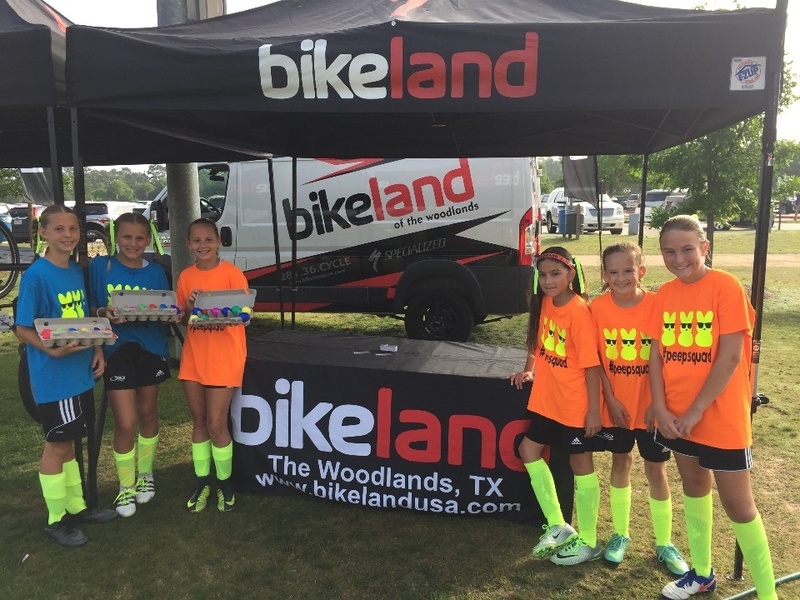 Teams will be traveling in from across Houston along with the following soccer markets participating - Austin, San Antonio, Dallas, McAllen, Waco from Texas and teams from Oklahoma. "It's superb to have Bikeland renewing their partnership for another year. They fully understand and appreciate the role that youth sports play in the local community. Bikeland offers a first class service and are leaders in their industry. We're honored to have Jeff and his team back on board for another year. We'll look forward to Bikeland hosting our team check-in registration nights at their store and partnering with them for the next 12 months." Simon Boddison, Director of Soccer Operations. The Houston Dynamo | Dash Youth Soccer Club is the only club in Houston providing a full range of programming (boys / girls) with a complete pathway for the beginner through to the collegiate and professional levels. Dynamo | Dash Youth exclusively offers soccer playing opportunities in the highest competitive youth league in the country - United States Soccer Development Academy.